I’m all about the scalloped recipes lately. I think it is because it is cheesey and comforting. 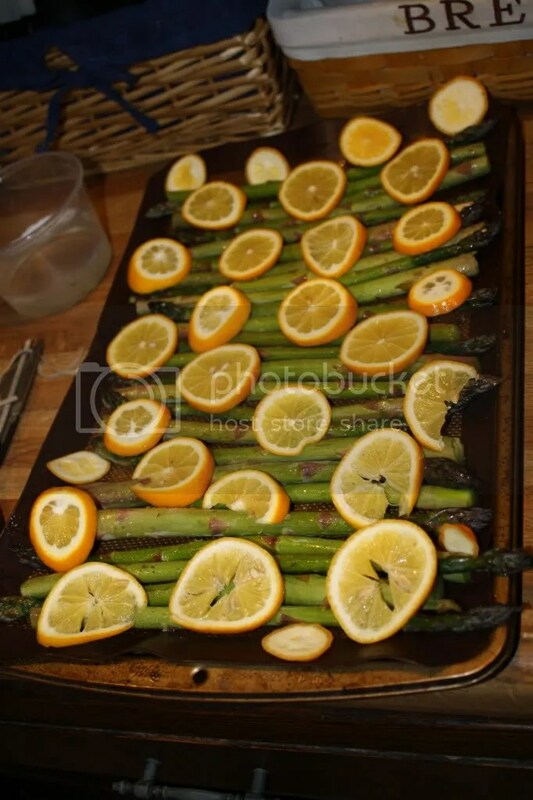 We have been getting a lot of asparagus in our CSA and this was a great recipe to use it in. 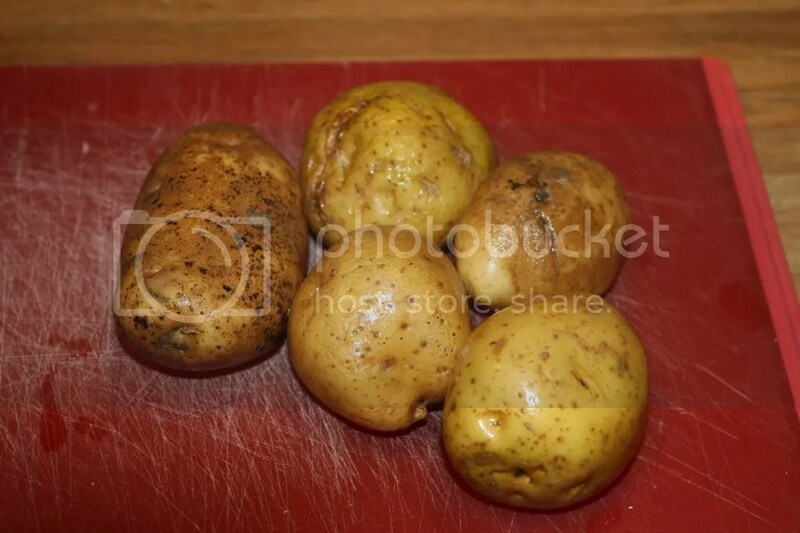 I took some tasty potatoes, sliced, and steamed them. 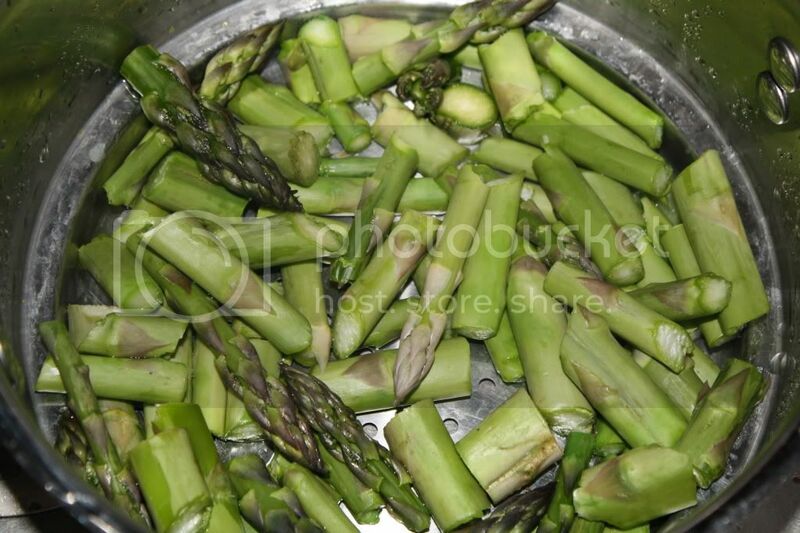 Then, I took the asparagus, sliced it, and lightly boiled it. 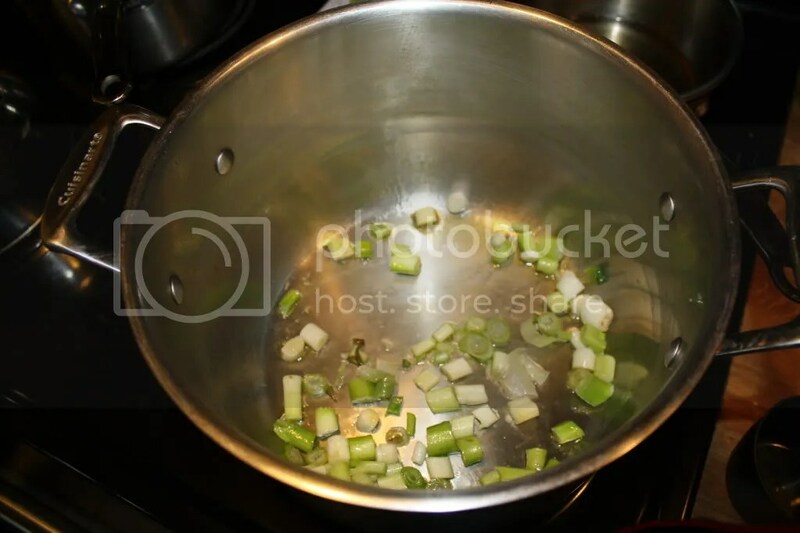 Once that was all done I got to work on the scallions. 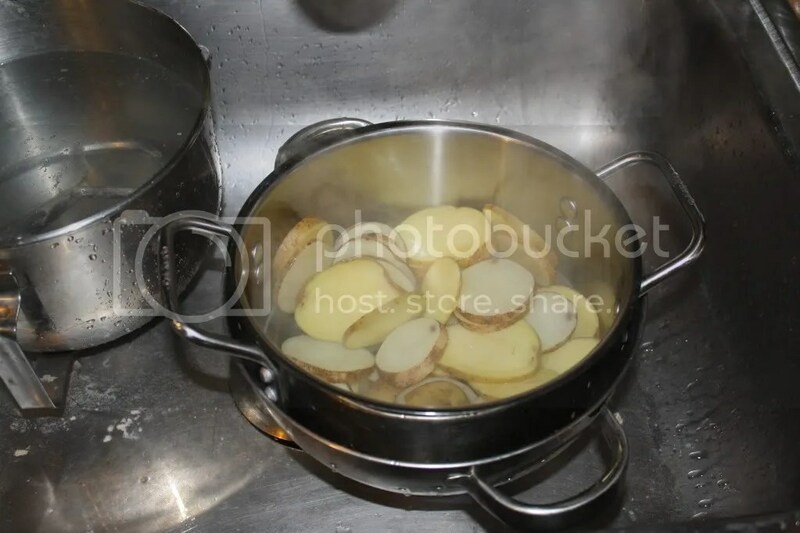 I sauteed them in olive oil until they were soft and smelled delicious. 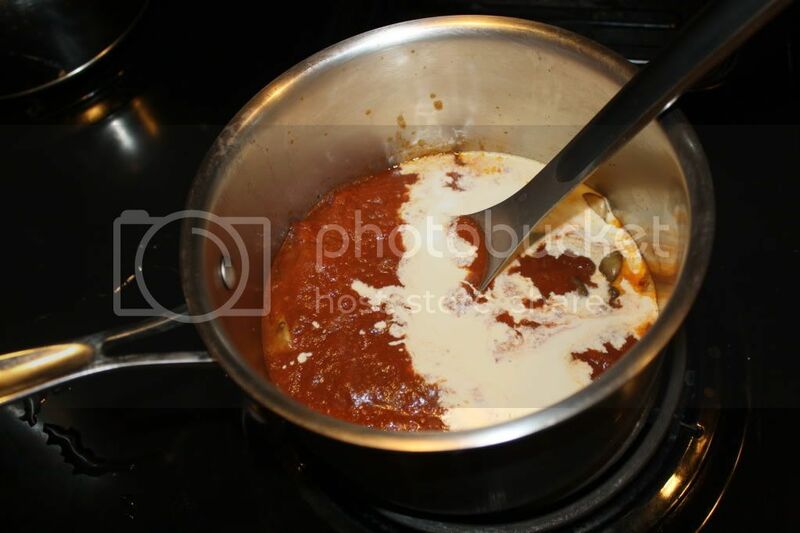 Then, I added in the flour, milk, and cheese! I let it cook down until it was coating the spoon. At that point, I added in the spices and seasonings. 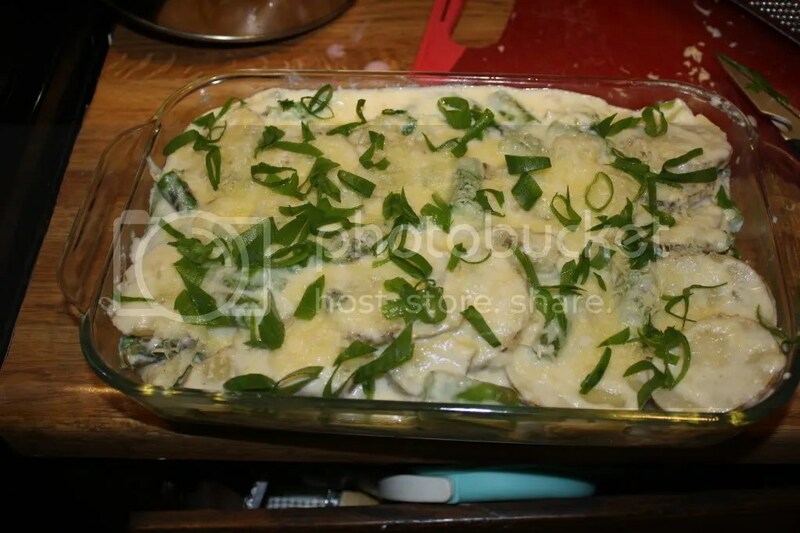 Once I mixed in the potatoes and asparagus, I poured it into a buttered dish, topped it with more cheese, and sprinkled it with scallions. Once it was baked up, WOW! Delish! 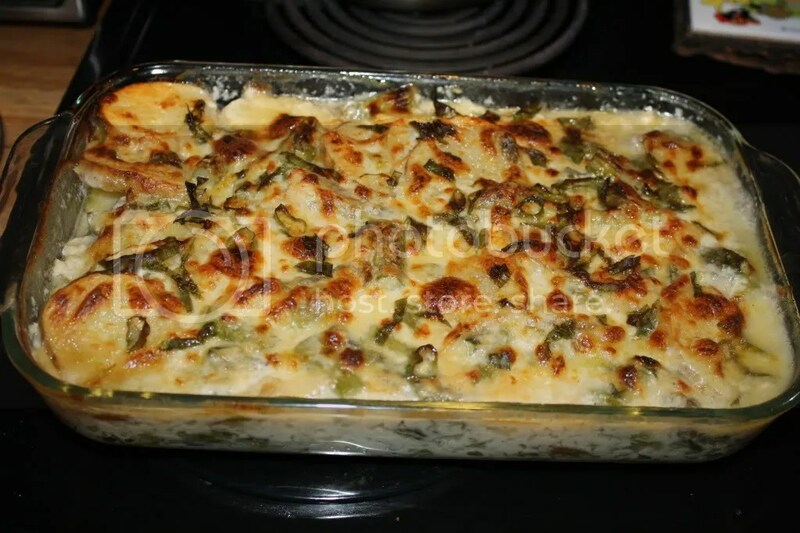 Categories: asparagus, cheese, dairy, potatoes, scallions | Permalink. 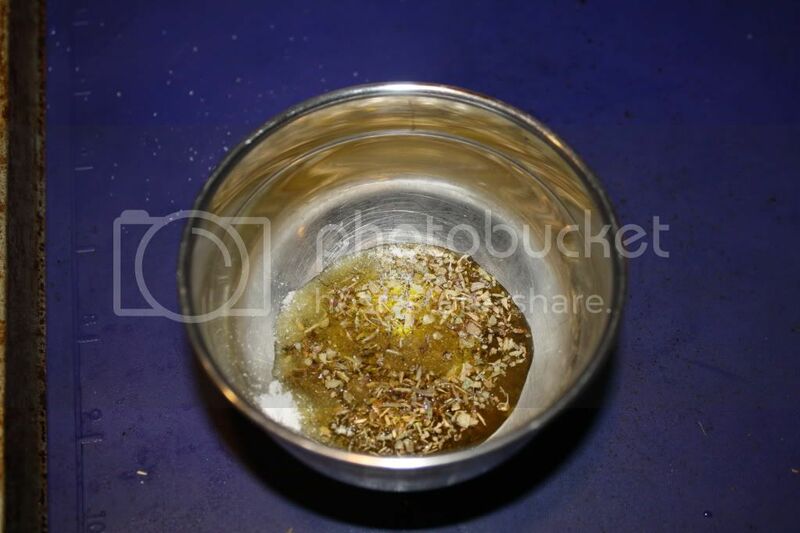 After the success of the last hyssop recipe, I decided to try and experiment a little. 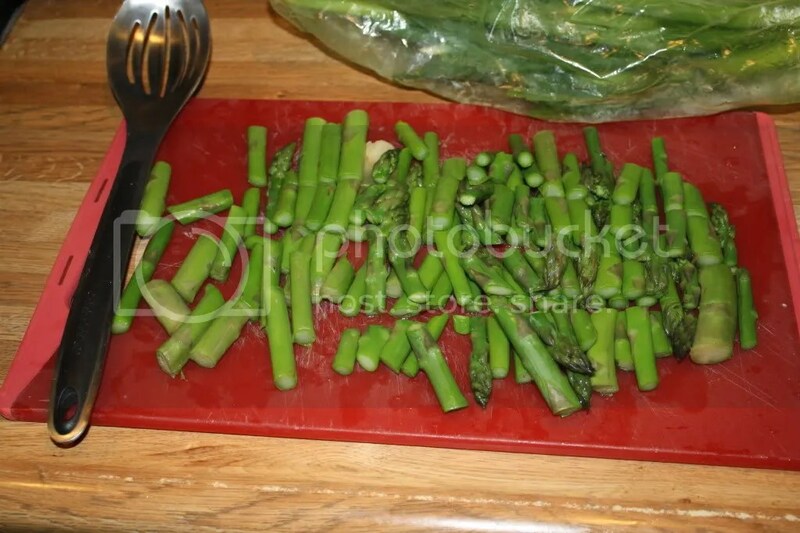 We received radishes and asparagus in our CSA, and I saw a recipe for a cool salad using both. 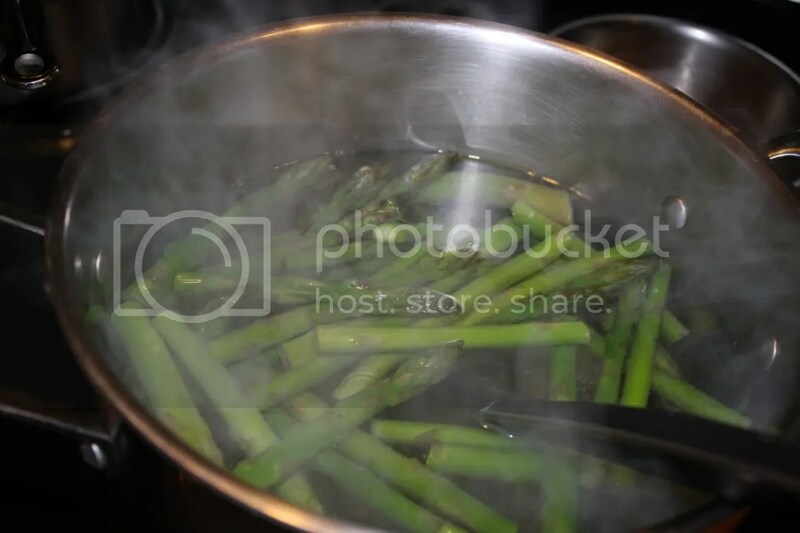 First, I chopped and steamed a bunch of asparagus. 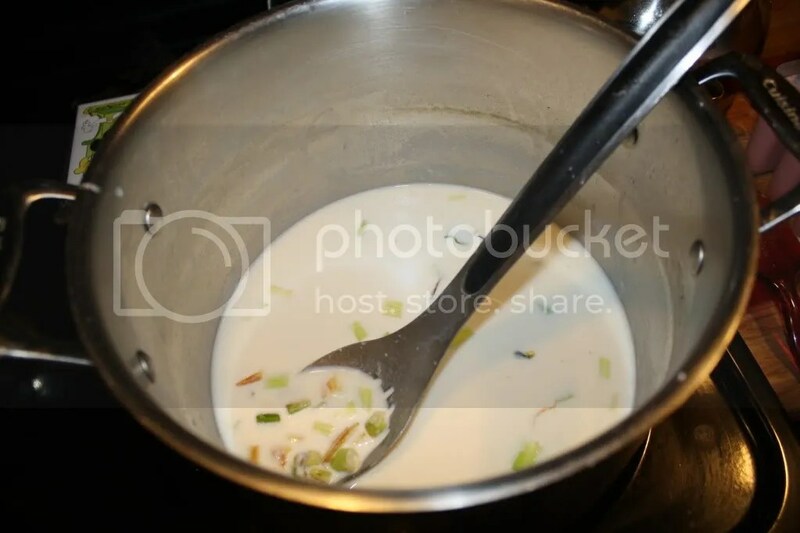 While that was cooking, I mixed up the dressing. It was rice wine vinegar, olive oil, nama shoyu (which is like soy sauce), salt, pepper, red pepper flakes, and a splash of sesame oil. 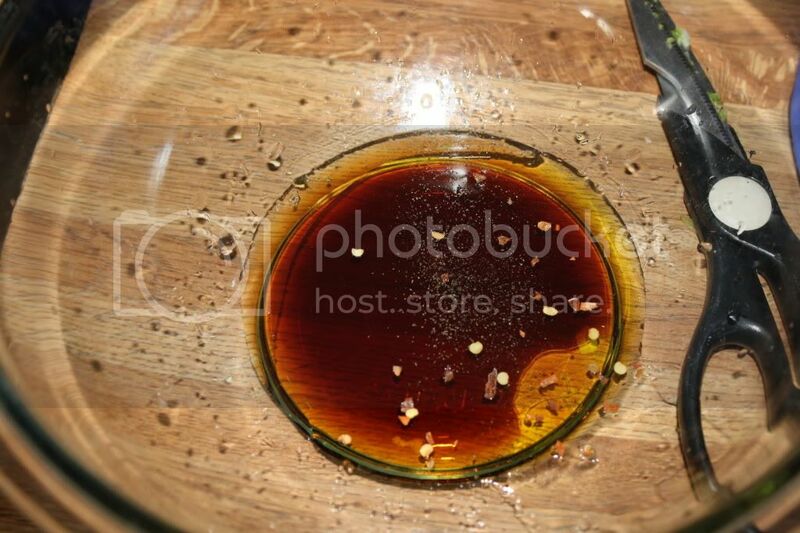 Sesame oil is strong! 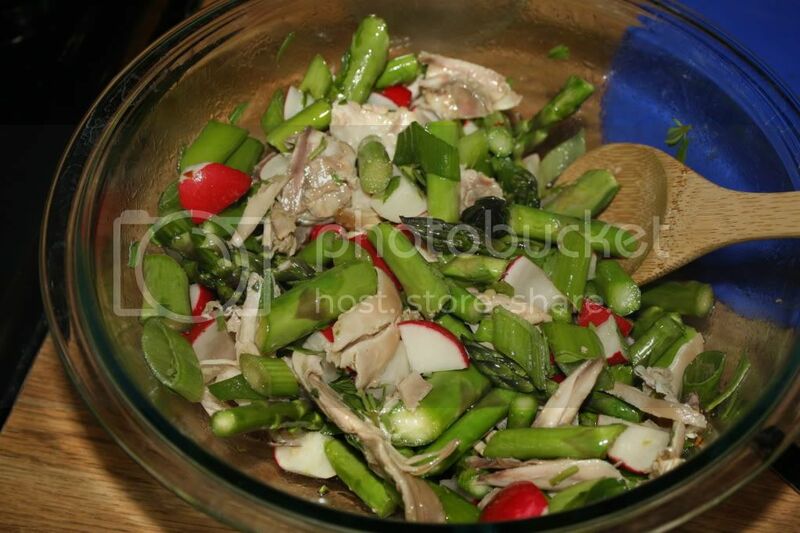 Once the asparagus was done and chilled, I mixed it into the dressing along with lots of scallions, leftover chicken, and chopped up radishes. Then I thought about the hyssop. It is kinda like anise, which is the flavor of the Lebanese liquor Arak. Arak is often enjoyed with radishes, so I thought the hyssop might work well in the salad. It did! It was so light and perfect for a hot day. This post was shared with Real Food Wednesday and Fight Back Friday! 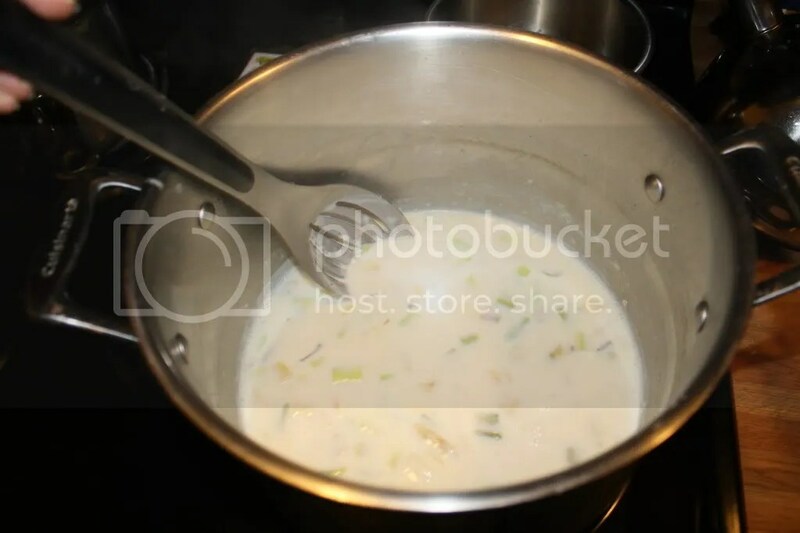 Categories: asian flair, asparagus, chicken, hyssop, leftover, radish, scallions | Permalink. I had a 2 coupons for free boxes of macaroni. Now, if you could see our pantry right now, you would know we have a LONG position in macaroni. Unfortunately, I can’t pass up free macaroni. I decided to use the coupons to get macaroni I don’t usually buy. 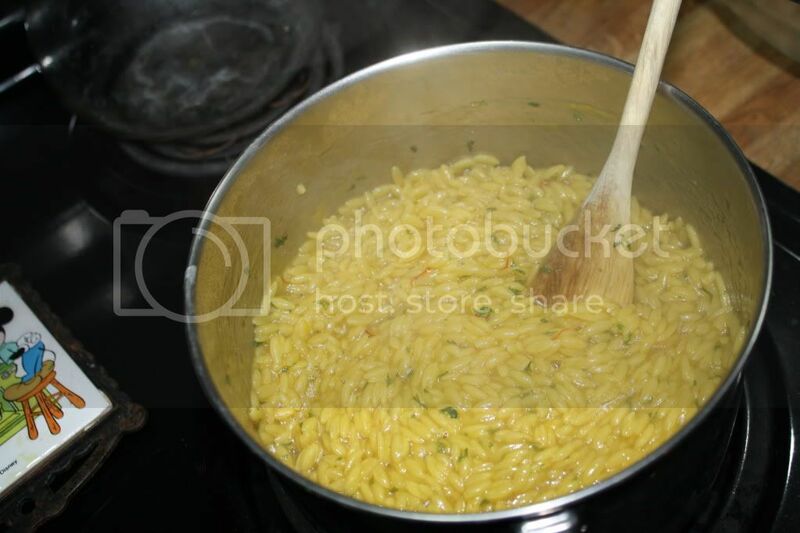 I grabbed some pastina (for quick and easy comfort food) and orzo (for quick and easy side dishes). 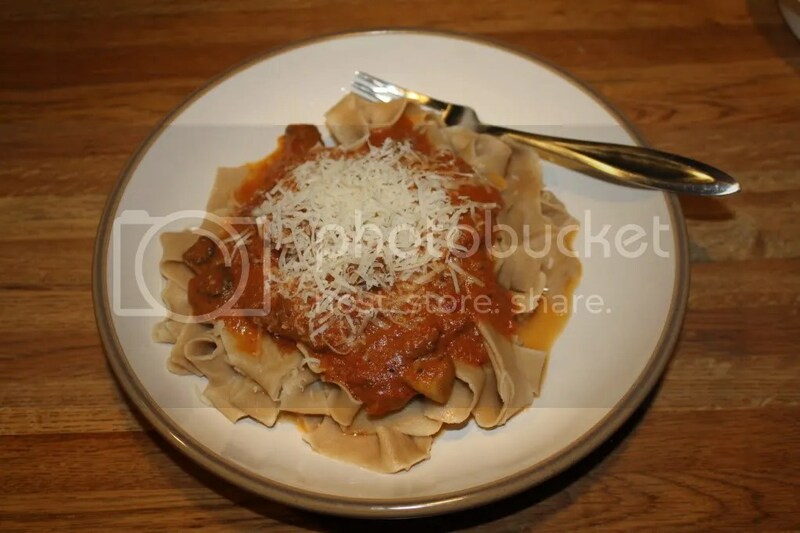 As I meal planned for this week, I found a cool recipe in Giada’s Everyday Pasta. While we didn’t have shrimp, I thought it would make a cool side dish. Now, you may be wondering how we ended up with saffron threads in our spice cabinet. 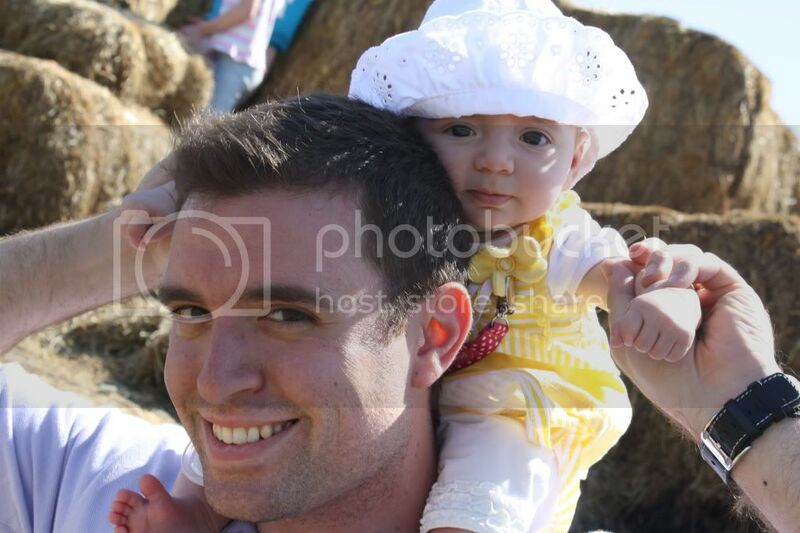 I mean, we are C-H-E-A-P. Well, my dad is VERY generous. And he likes good food. Dad- this recipe was a winner. Thanks! 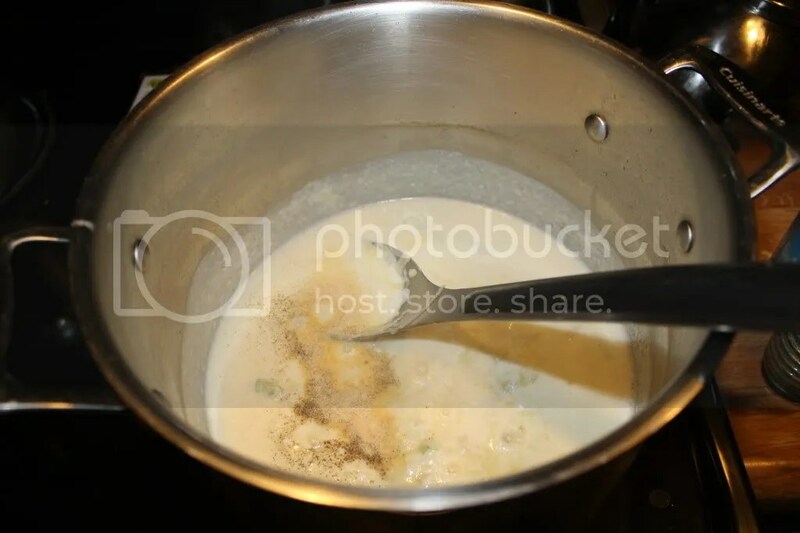 First, I brought 3 cups of broth and 1 cup of water to a boil. Why the mix? Because I forgot to defrost another jar of broth, simple as that. 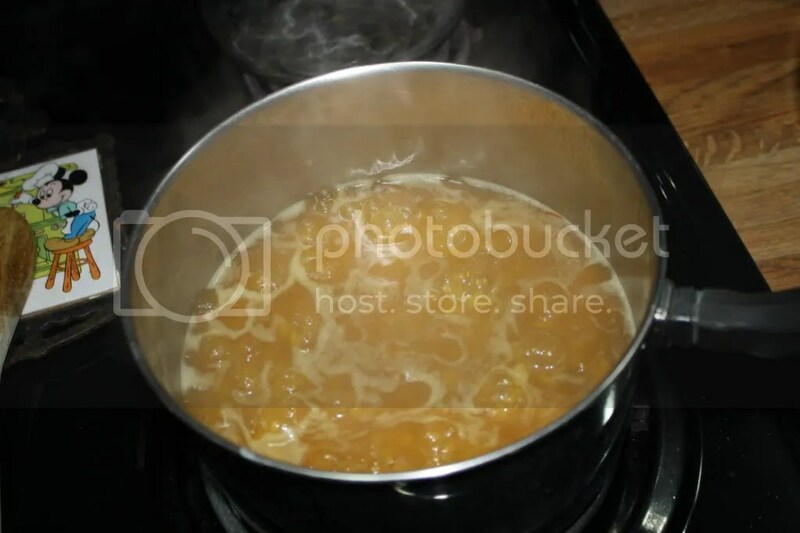 When it was boiled, I added some saffron threads and let them simmer. When they had released a good amount of flavor, I added in a box of orzos, along with some parsley, salt, and pepper. That’s it! To reheat it, I added some water, salt, and butter. 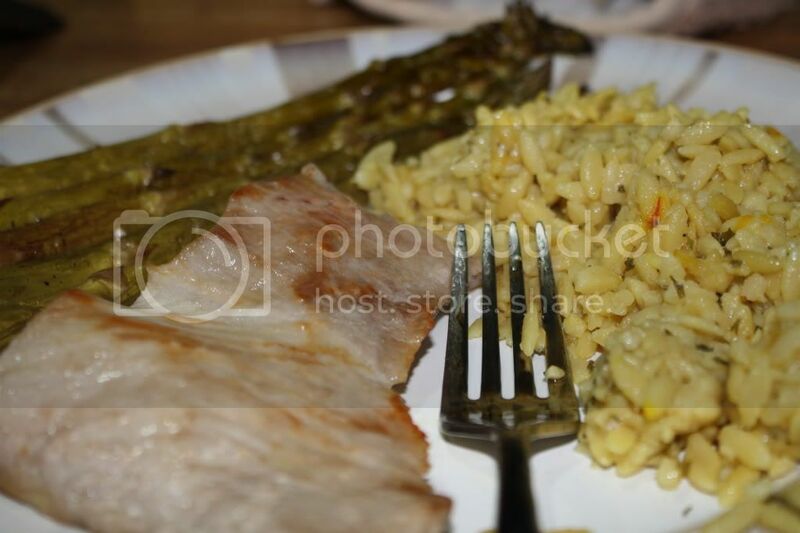 John helped out BIG time with the rest of dinner… pork and balsamic roasted asparagus! 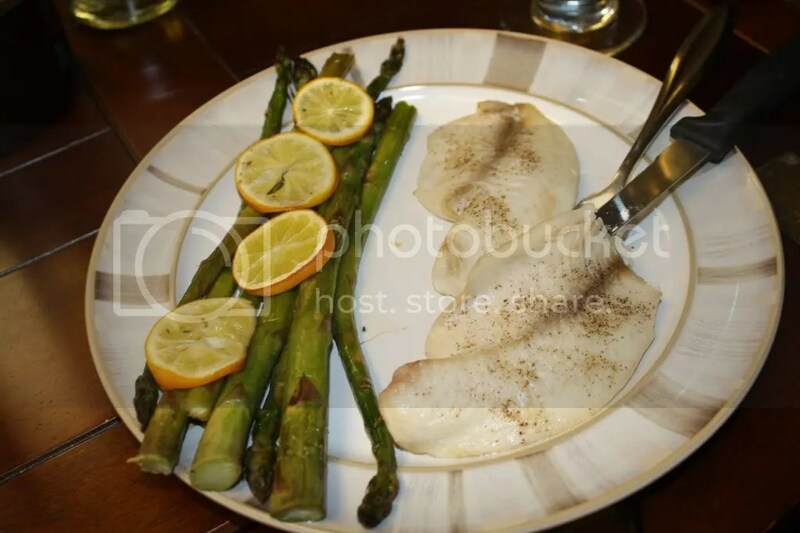 This post was posted on Full Plate Thursday at Miz Helen’s Country Cottage! Categories: asparagus, macaroni, meat, pork, veggies | Permalink.